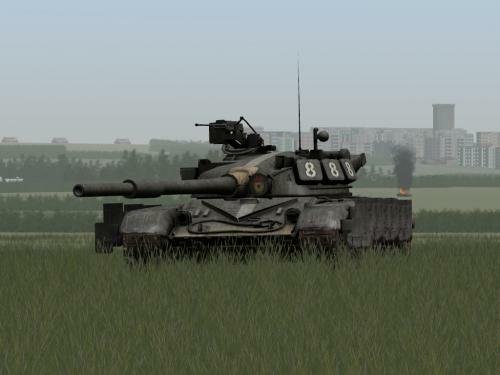 This is a three color repaint of the T-64B to match the version 3.002 T-80U and T-90S, and includes a "light" skin - similar to the old T-80U and my previous tri-color skins. Replicating a relatively fresh factory paint job, the skins are updated with new vision block and sight glass, additional rust and mud spatter, and other minor modifications. Winter skins are included. Two decal textures are provided: one with semi-accurate Soviet-era "Guards" markings and a modern Ukrainian set. As they are modifications of the default "sovietdecals.dds", other vehicles which share this texture will be renumbered; this should have no effect on immersion. These skins are forward compatible to version 3.011 and beyond. 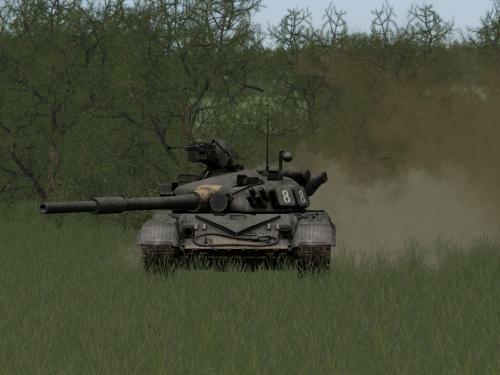 Includes two skins for the T-64B, with and without Guards insignia. Please use the included (blank) decal file or the skin will not display properly. 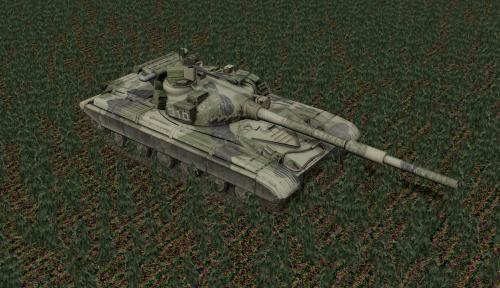 Includes two skins for the T-64A, with and without Guards insignia. Please use the included (blank) decal file or the skin will not display properly.